Next to Luc Van Lierde himself there is no other coach involved. Regarding your training plans and coaching communication, Luc will be the only person you have contact with. Why would you want me as your coach? When I started in triathlon, there was no such thing as a triathlon coach. We had to figure it out ourselves. So I contacted world class coaches in swimming, cycling and running and we started to make workout programs that made sense, specific for triathlon. So, lab results are one thing, but the secret to success is to combine this with the experience “on the field”. That’s why I was able to win the World Championships IRONMAN® Hawaii twice and to guide Frederic Van Lierde to win Hawaii for the first time in 2013. 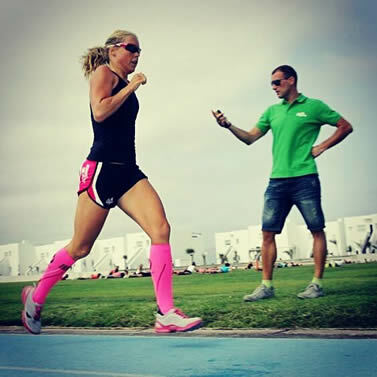 That is also why world class athletes like Marino Vanhoenacker (IRONMAN® World Record Holder) and Michelle Vesterby (8th Kona IRONMAN® 2013) have chosen to work with me. With more than 20 years of experience as a professional triathlete, Luc Van Lierde will use his knowledge and experience to help and guide you with a personalized training program, that will help you to achieve your goals and keep improving for years to come!